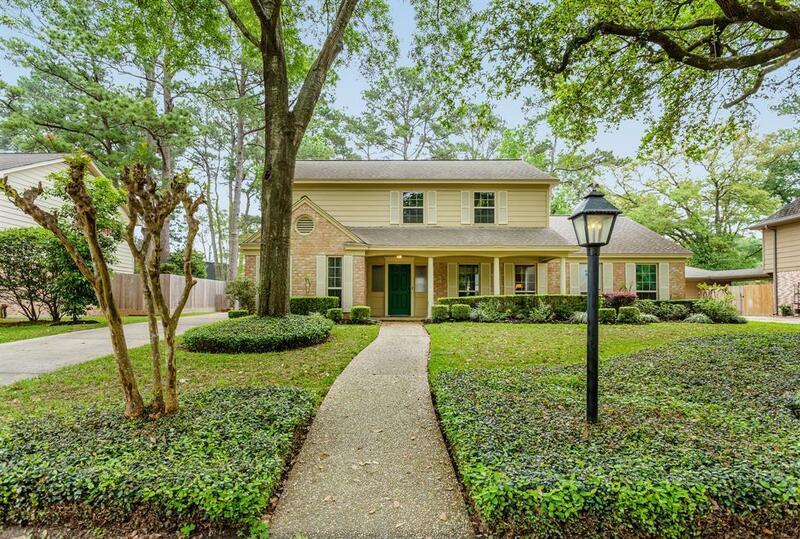 Welcome to this Huntwick Forest gem at 13714 Balmore Cir. 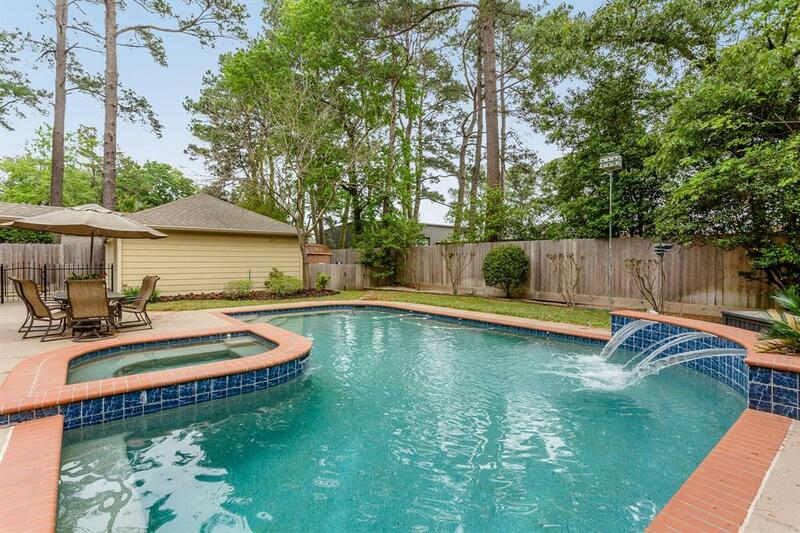 With 4 bedroom, 2 1/2 baths, a large private lot with pool and spa. 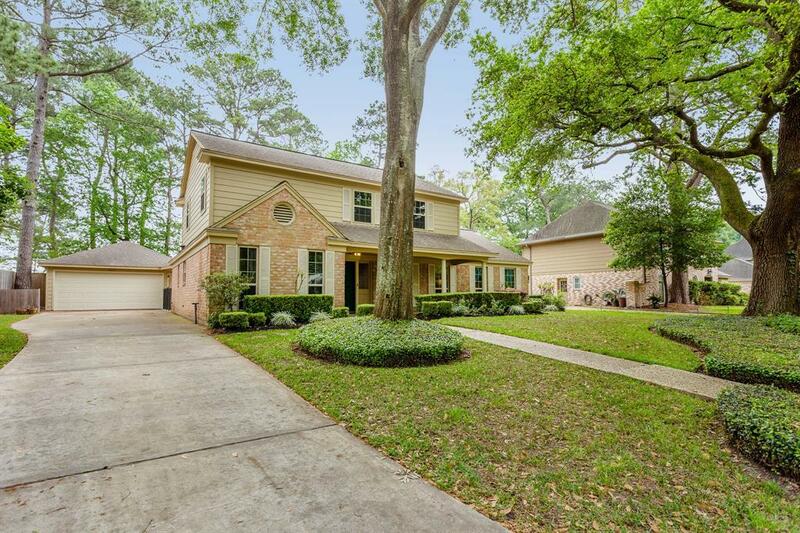 This home is nestled on a beautifully landscaped street with a large shaded lot. 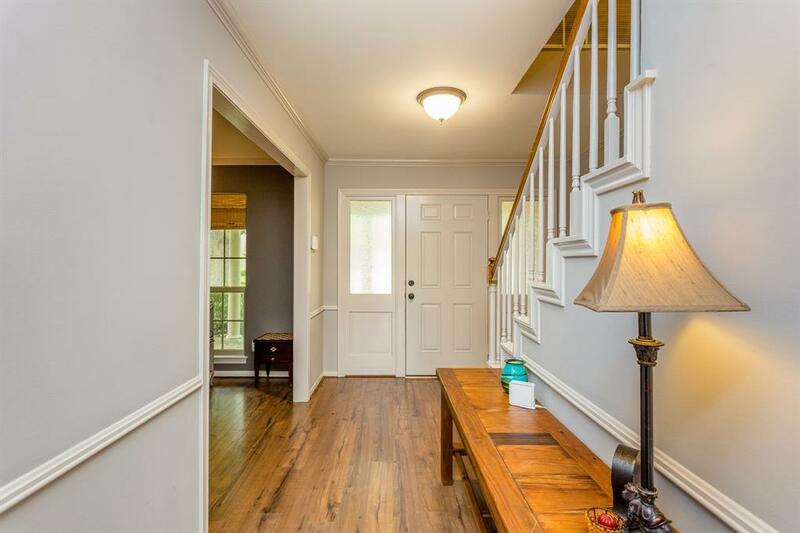 A covered front porch welcomes you and your guests into your foyer. As you enter you are flanked with your formal living room, currently used as an office, and your formal dining room. Hardy wood laminate flooring throughout the home giving it durability and beauty. Your cozy family room boast custom built ins, wood burning fireplace, and windows allowing views to your backyard pool. Enjoy time in your kitchen with granite counters, recent paint, two pantries, opening to your breakfast area. First floor master bedroom and guest rooms upstairs allows for separation, perfect for privacy. This home has been well taken care of and updated over the years. Roof 2008, Efficiency windows 2008, Sprinkler system 2007, HVAC 2010, Paint 2017, Pool decking updated 2016 and more! !